The essence is true slow food, and the menu is never twice the same, with dishes inspired by nature’s seasonal bounty, classic combinations and unusual twists. The delicious food is all fired to perfection on a Defy Jewel woodstove. 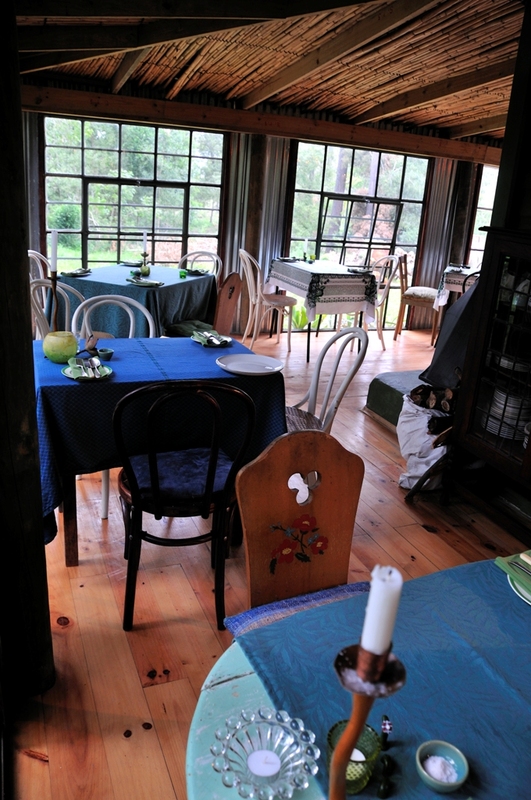 In the dining room, the woodstove AND open fireplace ensure cosy winter fare. The dining room is furnished with a happy mix of antique crockery and silver cutlery, linen and glassware, all found in local charity shops. 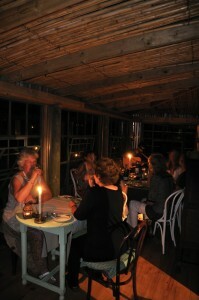 VegTable is currently located in a cottage, in a Pecan nut orchard, on the ‘MERMAIDS REST’ Farm, 5.7km along the Rheenendal Road. Rheenendal is a farming community on the outskirts of Knysna. VegTable is open to the public on Wednesday through Friday evenings, from 7 for 7.30pm in Winter, and 7.30 for 8pm in Summer. Please book a table in advance! 4 Course menu + tea/coffee. R450pp. Cash only (no card facility). Menus are primarily inspired by local, seasonal ingredients.